Sabine Stonebender says, "it's vapor now." DanCoyote says, "This is a tragedy! " 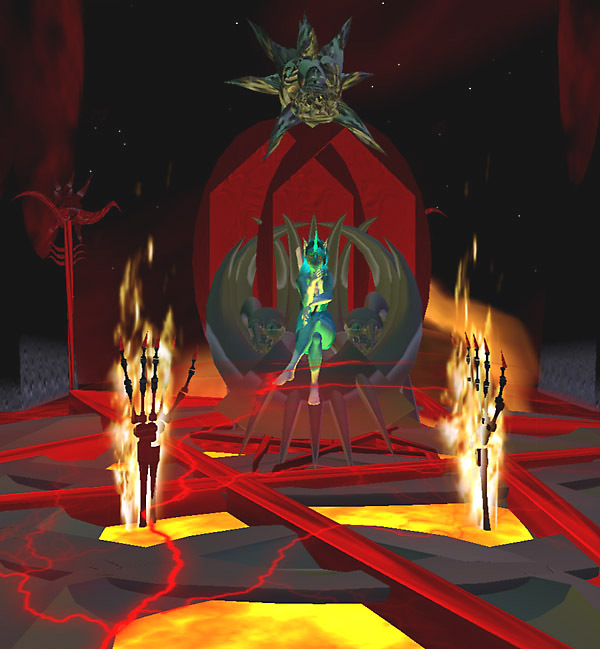 [July 20, 2008] There is no way to recover what many considered to be the most awesome long-term art installation in the virtual world of Second Life®. If you never visited it, you can get an idea of what it was at our Zero Point feature. According to Sabine, "a billing error liquidated zero's land and returned everything to the last tree in very random chunks." On learning of this, DanCoyote said, "that's the worst thing I have ever heard. Sab is an institution." DC and I visited Zero Point on the morning of July 20 and it was just barren land. There was no trace of the magnificent work that everyone thought was permanent. Sabine said "I salvaged what I could but the install as it was can never be again. Gotta love the ironic timing too—nearly the 2 year anniversary. Hard to believe it's that old—or was." Fortunately, our archival Monograph on The Second Life Art World includes a four page article documenting the Zero Point installation, so artists and historians in the future will know of its contribution to the evolution of virtual art. 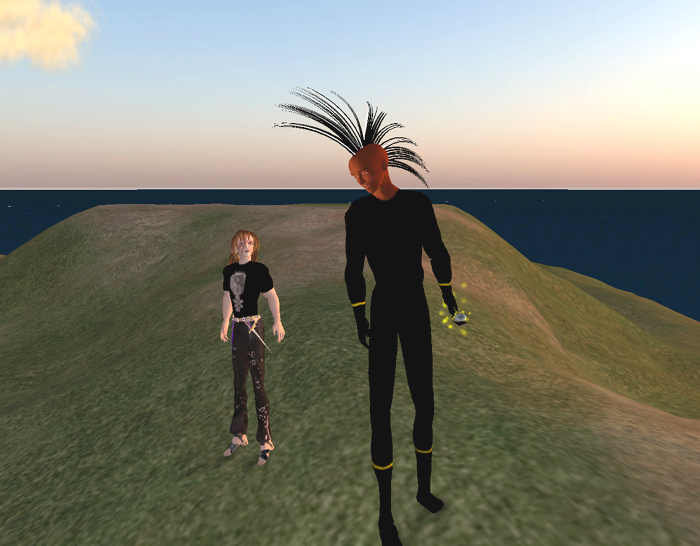 Many of the artists now creating in SL were inspired and influenced by Sabine's work. Above: Sabine at home in her Throne Room in Zero Point last year. Click to read our Zero Point feature. In a discussion in the Metanomics Group chat, some people questioned whether this would have any impact on the virtual economy. The question it raises is how much will people invest in an insecure system? I have lost valuable unique (no copy) artwork that was irrecoverable, and that is not an uncommon experience. It is not yet a stable platform, and the Terms of Service make it clear that you can lose it all at any time for any or no reason. But people forget this when things are going well. Disappearing inventory and builds, particularly complex builds that can not be returned in a single packet, will be an issue until a reliable backup system exists, which may include saving the code on your own machines. Until then, collectors are wary of big purchases, artists hesitate to spend time that may be wasted, and many businesses (profit and not-for-profit) will limit their involvement. What do others have to say about this? What do YOU think? Read and post a comment on the SLART BLOG. You can see more photos of what Zero Point was, and read a first-hand account on Sabine's Blog. Bettina Tizzy has given Sabine a temporary store to sell smaller items. You can visit it here.